FortiCASB is a Fortinet-developed cloud-native Cloud Access Security Broker (CASB) subscription service that is designed to provide visibility, compliance, data security, and threat protection for cloud-based services employed by an organization. 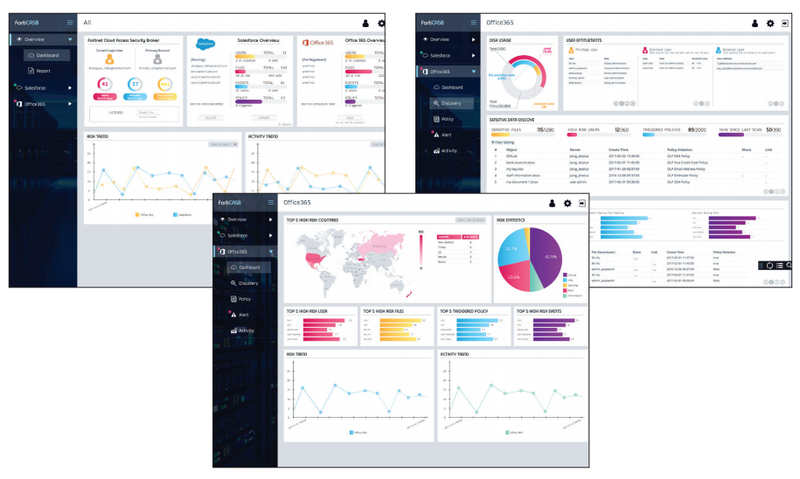 With support for major SaaS service providers, FortiCASB provides insights into users, behaviors, and data stored in the cloud with comprehensive reporting tools, and provides advanced controls to extend security policies from within the perimeter to SaaS applications. API-based access to cloud applications enables visibility and control of stored data. Cloud-based subscription model grows with your organization. Data is protected directly with the SaaS provider, not funneled to an inspection point. FortiCASB is a cloud-native Cloud Access Security Broker (CASB) subscription service that is designed to provide visibility, compliance, data security, and threat protection for cloud-based services being used by an organization. With support for major SaaS service providers, FortiCASB provides insights into users, behaviors, and data stored in the cloud with comprehensive reporting tools. It also includes advanced controls to extend security policies from within the network perimeter to SaaS applications. 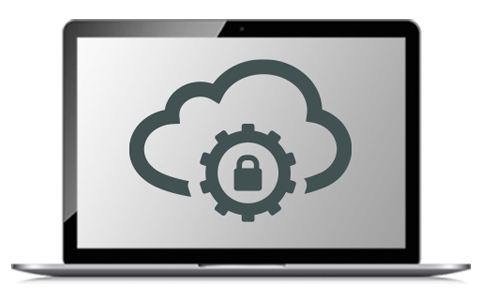 Unlike a proxy-based service or hardware device, FortiCASB directly connects to the SaaS provider to access data and files stored in an organization’s accounts. New information is validated against data leakage policies and scanned for threats. Existing information or “data at rest” is also scanned to ensure it meets business policies. If a business policy is updated, it can be easily applied to data stored in the cloud by the administrator. FortiCASB offers many tools to provide insights into user behaviors and their activities on SaaS applications. Administrators can monitor usage as needed and have the ability to view user entitlements, dormant users, and conduct detailed configuration assessments. FortiCASB offers a comprehensive set of analysis tools to manage SaaS usage and data storage. Detailed user monitoring helps to quickly identify risks and automated tools help to manage incidents as they occur. When used with the Cloud Access Security Inspection (CASI) features of FortiOS and with FortiAnalyzer for reporting, FortiCASB can offer a complete solution to identify SaaS applications used on the network and provide additional management tools. CASI on FortiOS provides an easy-to-use feature set to manage tolerated and unsanctioned SaaS on the network. Using an API-based approach, FortiCASB is directly connected to SaaS providers to access usage and data stored in the cloud. This method gives IT security managers the ability to scan stored data for threats, proprietary information, or sensitive customer records. This approach also ensures that all users of the organization’s SaaS applications are monitored and protected by FortiCASB no matter where they are or what device they are using. Built from the “Fabric-up”, FortiCASB is designed for deep integration into the Fortinet Security Fabric to provide consolidated SaaS application management and reporting with FortiGate and FortiAnalyzer. Download the Fortinet FortiCASB Datasheet (PDF).